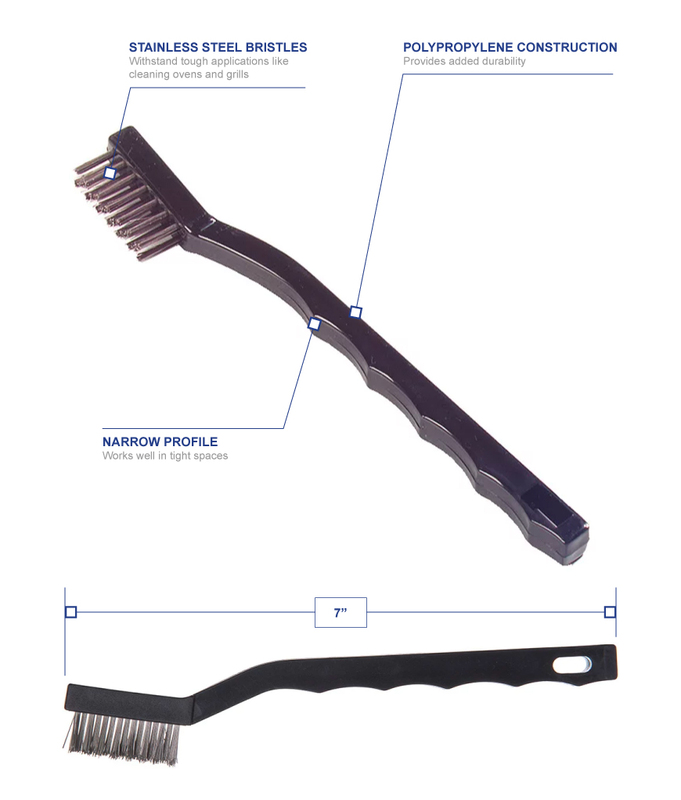 The Carlisle 40675 Flo-Pac® utility brush has a narrow profile for cleaning in tight spaces. 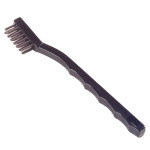 With stainless steel bristles, the brush can be used for touch jobs on grills and in ovens. Made of polypropylene, the Carlisle 40675 Flo-Pac utility brush is built to withstand heavy use.